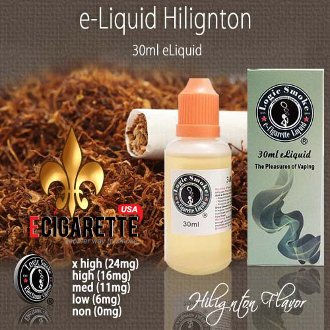 Hillington E-liquid from Logic Smoke is a great tobacco flavor that has gentle hazelnut and vanilla undertones on the exhale. This flavor is modeled after a popular cigarette brand and has steadily become one of America’s favorite tobacco e-liquid flavors. Buy a bottle of Logic Smoke Hillington E-liquid today and find your new favorite flavor.